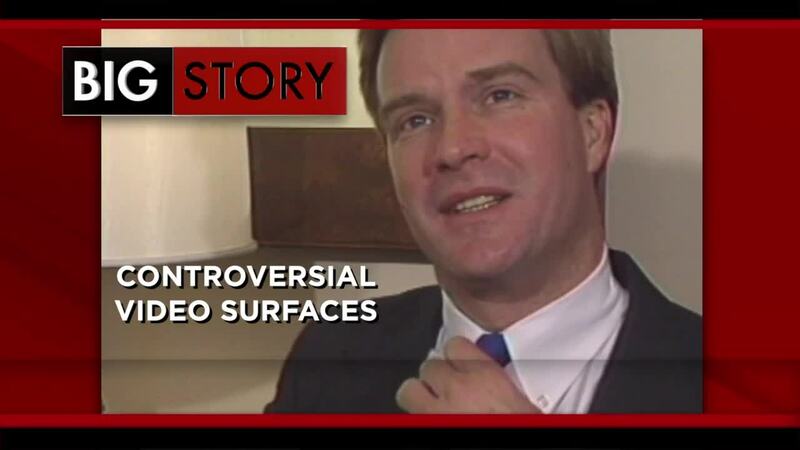 Attorney General and candidate for Michigan Governor, Bill Schuette, is responding to a 1989 video that resurfaced of him interacting with a female interviewer. 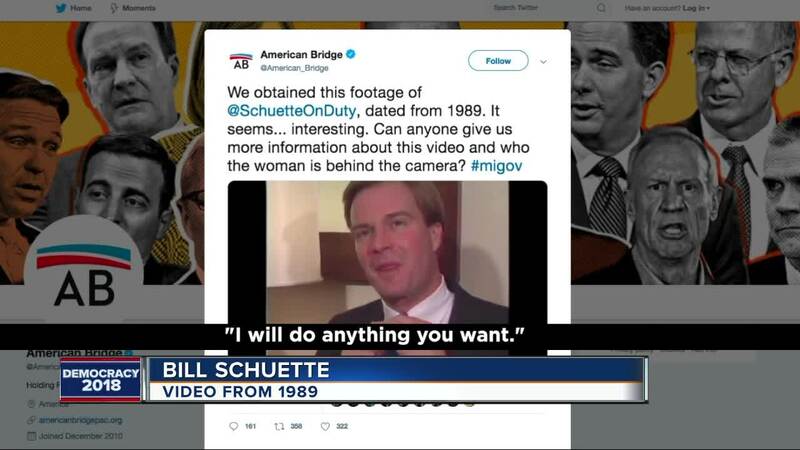 The video, which was shared on the American Bridge Twitter account Thursday, shows Schuette telling the interviewer, "I'd do anything you want" after she was heard asking him to shift his position for the interview. American Bridge wrote in the caption about the video: "It seems... interesting." There's then a call-out to social media asking if anyone can provide more information about the video and the woman behind the camera. Schuette's competition for Michigan governor, Gretchen Whitmer, also responded to the resurfaced footage saying in part, "I imagine everyone who's watched it had the same uncomfortable look on our faces." With a flurry of responses to the video footage, Schuette released a statement saying that the interaction was his "poor attempt to be humorous 30 years ago," and that "the video, which appears to be edited with only one short portion shown, has been in the public domain for some time." "That apparently was my poor attempt to be humorous 30 years ago. The video, which appears to be edited with only one short portion shown, has been in the public domain for some time. It’s fortunate for me that Cynthia came into my life and let me know that I am not a very funny guy, but this is no less embarrassing to me today and I regret it." A representative of Schuette's camp also noted that the attorney general doesn't know the origin of the interview outtake, and he doesn't recall where the interview came from. His response to the video was based on him viewing it in present day.